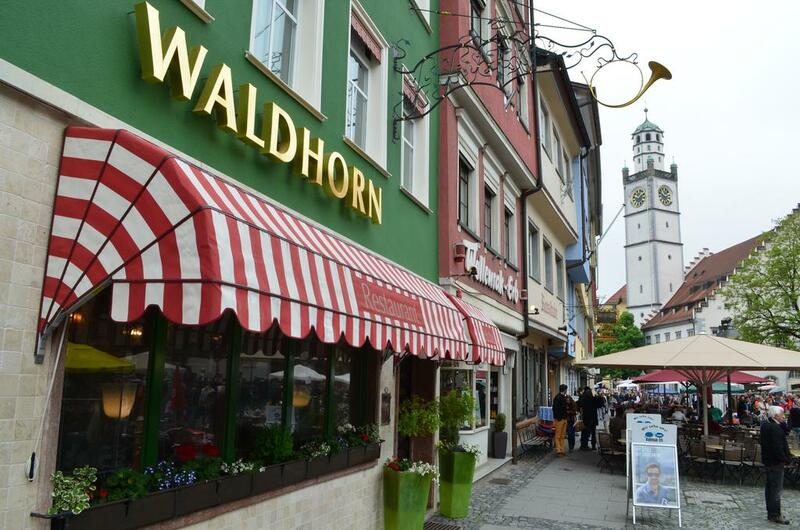 The Hotel Waldhorn*** B&B has a long tradition of comfort and individual character. Our house is situated in the heart of Ravensburgs pedestrian zone. All the historic sites and medieval buildings are within walking distance. Shopping can also be done at a few minutes walk. You can choose between comfortable single and double rooms, apartments as well as a suite. As all our buildings lay in the pedestrian zone. You can have breakfast at our opulent buffet, enjoy lunch and dinner in several restaurants in Ravensburg. There is the public underground car park P1 below the Marienplatz. Take the exit “Kornhaus” and use the lift to find yourself right opposite of the Waldhorn.